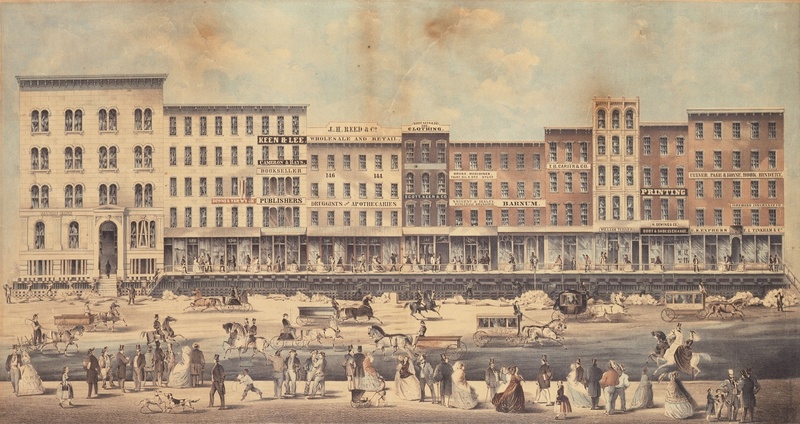 Raising a block of buildings on Lake Street, Chicago, in 1857. Courtesy of the Chicago Historical Society/Wikimedia Commons. Nature had, indeed, endowed Chicago with a crucial locational advantage: The city sits between the Great Lakes and Mississippi River watersheds, making it possible for people working or living there to travel by boat all the way to the Atlantic Ocean or to the Gulf of Mexico. But geography alone would not secure the city’s destiny: Chicago’s growth, like that of many other American cities, was also predicated on government-led engineering projects—and the mastery of our most essential resource, water. Between the 1830s and 1900, lawmakers, engineers, and thousands of long-forgotten laborers created a new, manmade geography for Chicago—building a canal and sewers, raising city streets, and even reversing a river. These monumental feats of engineering—as much as nature—spurred Chicago’s miraculous growth, and provided a model for other American cities to engineer their way to success. The promise of Chicago’s geography was immediately obvious to the first Europeans who passed through the site in 1673. Fur trader Louis Joliet and Jesuit missionary Jacques Marquette paddled up the Illinois and Des Plaines Rivers, crossing a short, but sometimes terribly muddy land route, or portage, to the Chicago River—which, in turn, flowed into Lake Michigan. Marveling at the route’s imperial possibilities because it connected the Gulf of Mexico to territories north of the Great Lakes, Joliet reported to the governor of French Canada, “we can quite easily go to Florida in boat” by building only one canal. Such a canal would link Quebec to the fertile lands of the continental interior where, Joliet advised the governor, there would be “great advantages…to founding new colonies,” thereby expanding the reach of its lucrative fur trading operations. By the 1830s, Illinois officials, inspired by the success of New York’s Erie Canal (1825) and the Ohio and Erie Canal (1832), began construction of the Illinois and Michigan Canal, which was designed to harness gravity to siphon water out of the Chicago River—effectively reversing the river’s flow so that it went away from, rather than into, Lake Michigan. The bold, costly plan called for making a “deep cut” channel through very tough clay called hardpan. The state began construction in 1836. Within a year, though, the Panic of 1837 struck, and by November 1841, Illinois had largely stopped work on the canal. By 1842, the state’s debt was $10.6 million and annual interest payments were $800,000. The canal—along with spending on a railroad and the failure of the state bank—had plunged Illinois into ruin. In 1843, the state abandoned the canal project, having already spent $5.1 million dollars. 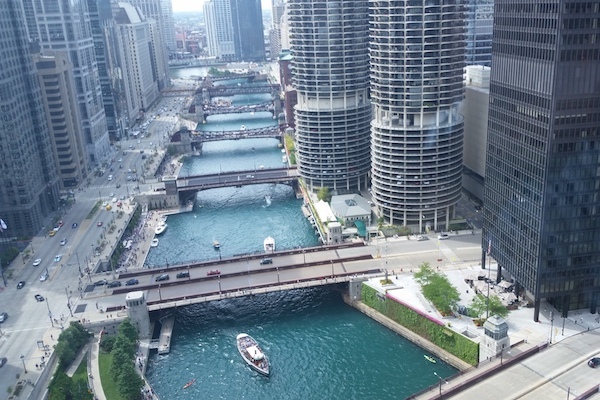 The Chicago River in 2015. Courtesy of Wikimedia Commons. Real estate investors, who had a lot to lose if Chicago’s growth stalled, urged the state to resume canal construction. New York City land speculator Arthur Bronson and a group of Chicago boosters found lenders who were willing to provide the state with an additional $1.5 million to complete the canal. The lenders had one condition, however: To cut costs, the state had to abandon the deep cut for a cheaper, shallower channel. Instead of using the “deep cut” channel and its gravity-fed system to reverse the flow of the river, engineers would use pumps to push a smaller volume of river water into the canal without forcing the river to reverse its course. Crews began digging again in 1845, completing the project in 1848. Just as Joliet had imagined, the canal transformed Chicago into a major center of trade. On April 24, 1848, the first cargo boat to arrive in Chicago by canal, General Thornton, hauled sugar from New Orleans through the city on its way to Buffalo. In its first decade of operation, the canal carried a staggering amount of freight: 5.5 million bushels of wheat; 26 million bushels of corn; 27 million pounds of pork; 563 million board feet of lumber. With the canal—and later the railroads—Chicago became an increasingly attractive location for manufacturers. Cyrus McCormick, for example, moved his mechanical reaper factory from Virginia to the banks of the Chicago River less than a year before the canal’s imminent completion. While the canal established Chicago as a major city, it also created problems whose solutions required still more engineering. One such issue arrived on April 29, 1849, when the John Drew, from New Orleans, carried cholera into the city. Within hours of the boat’s arrival, its captain and several passengers died. The disease spread rapidly throughout the city, sending physicians rushing from patient to patient to soothe fevers, cramps, and diarrhea. One-tenth of the city’s 29,000 residents contracted the disease and 678 died. So, in 1855, officials mounted a dramatic attempt to rescue their city with another massive engineering project by hiring Ellis Sylvester Chesbrough, an engineer renowned for his work on Boston’s water system, to raise Chicago out of the muck. First, Chesbrough laid the sewers above the streets, positioning them so that gravity would carry their contents into the Chicago River. He then filled the streets with dirt, covering the sewers and elevating the city’s thoroughfares as much as eight feet above the buildings that flanked them. Many Chicagoans built staircases from the street down to their front doors. Others raised their structures—more than 200— using jacks. Chicago’s rise was so sudden and so astounding that many observers concluded it must have been predestined by nature or God. As Chicagoans hoisted their buildings and the city began growing anew, Chesbrough’s sewers flooded the river with waste, causing new problems. The Chicago River flowed directly into Lake Michigan, the city’s source of drinking water. Initially, the volume of sewage was small and lake water diluted its polluting effects, as Chesbrough had calculated. But, when Chicago’s population tripled from 100,000 in 1860 to 300,000 in 1870, the amount of feces, chemicals, and decaying animal matter making its way into the waterways multiplied. The putrid smell of the river became unbearable and pollution began to flow into the city’s drinking water. It was time for more engineering. In 1865, Chesbrough and state officials decided to manage Chicago’s water pollution by enacting an old proposal: making a deep cut through the Illinois and Michigan Canal and, this time, actually reversing the Chicago River and sending the city’s sewage down the canal, away from Lake Michigan. After six years, on July 15, 1871, throngs of people crowded the riverbanks to see workers chop down a temporary dam separating the river and the canal. The onlookers threw pieces of straw on the river and watched as they slowly began to float toward the canal, and away from their drinking water. Ever since, Chicago has continued to grow, and most of the time, its river has run backward. In 1900, the Sanitary District of Chicago, a regional government agency, completed the new, deeper Sanitary and Ship Canal, which has largely kept the dirty Chicago River running away from the lake, even as the metropolitan area has grown to 9.5 million people today. Chicago’s history confirms the old adage that geography is destiny. But the city’s experiences also suggest that geography is not just a fixed fact of nature, as Bross and Goode had implied; geography is also something continually made and remade by people and governments, a thing as fluid as water itself. Chicago’s model of growth—based on government-led water engineering projects—was duplicated by other cities—such as Los Angeles and Las Vegas—in the 20th century. This history of engineering-led growth in Chicago and other cities is both inspirational and a cautionary tale for our current age, when climate change demands that we engineer our cities to keep rising seas at bay. If geography is destiny, Chicago’s history offers the hope that fate is still partly in our hands. 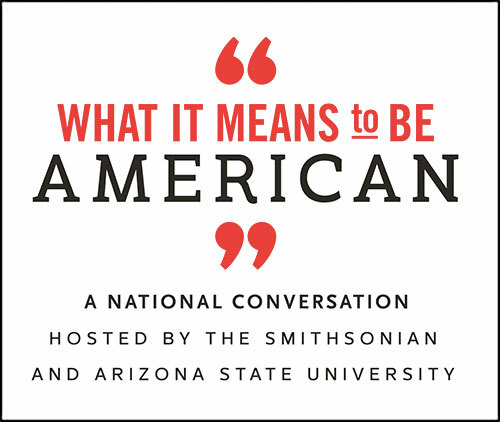 Joshua Salzmann is a historian at Northeastern Illinois University in Chicago. He is the author of Liquid Capital: Making the Chicago Waterfront.